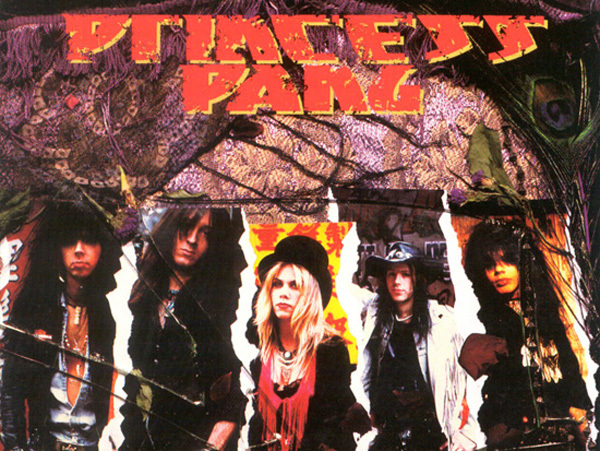 An American/Swedish hard rock combination that played sleazy pop metal with a female lead singer. Vocalist Jeni Foster met bassist Ronnie Roze on New Year’s Eve 1985 in Manhattan. The two vowed to form a band together, and when Roze had to return home to Sweden in order to renew his Visa, Foster was right by his side. They found guitarist Andy Tjernon in Sweden and Princess Pang was officially born. The three began recording demos, but were unable to find a drummer that suited them. They kept sending the demos to drummer Brian Keats (Roze’s band mate in Angels In Vain) in New York, hoping he would hook up with them. 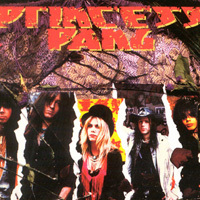 In the fall of 1986 Keats did in fact join the group when the three returned to America from Sweden, and proceeded to finalize the band with the addition of guitarist Jay Lewis. They got signed to Metal Blade records, released an outstanding album, and toured behind the likes of Mr. Big, Ace Frehley and Wolfsbane. After their first tour, Foster left the band. 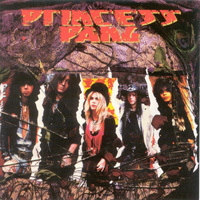 The remaining members continued to demo material and audition new vocalists, but in 1990 they decided to put the band to rest. After the demise Tjernon and Keats joined the Diamondbacks, and currently Ronnie “Roze” Johansson is recording and touring in Stockholm Showdown.